Warner Bros and Legendary Pictures big flash 21st Century do-over of Godzilla is now in theaters. I wasn't exactly in love with the overall result, but there's some pretty impressive stuff in there so go make up your own mind. Meanwhile, here's a quick look back through the King of The Monsters' amazing legacy at the movies. This Week: The Showa Series (Godzilla "eras" are generally named for the emperor of Japan at the time of their production), i.e. the original run of Godzilla installments that ran from 1954 to 1975. 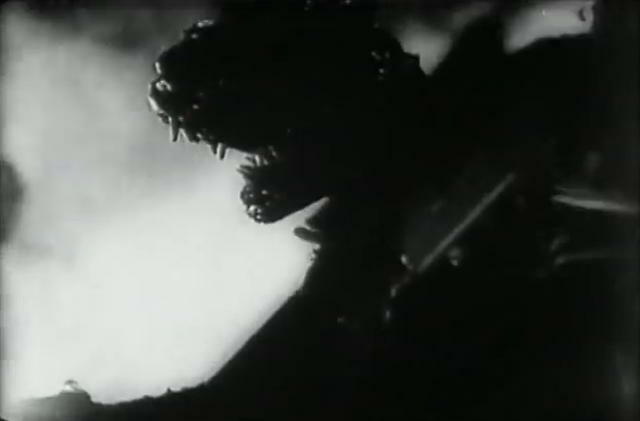 Toho producer Tomoyuki Tanaka and director Ishiro Honda stretched the skin of your basic post-Beast From 20,000 Fathoms giant monster rampage film over a skeleton of distinctly Japanese post-war national angst (and outrage) over everything from Hiroshima to occupation to the Lucky Dragon 5 Incident to create the original Gojira. Cinema hasn't been the same since. It's a bizarre hybrid, a "monster movie" presented as something like an art-film, and its dirge-like march-to-armageddon pacing makes a lot of it more interesting to watch than to analyze, but there's no denying it's power and importance. 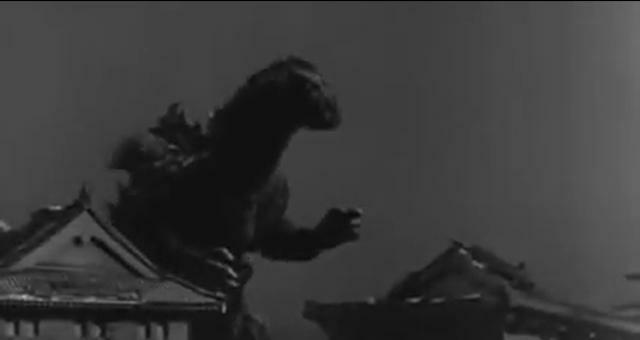 The first Godzilla sequel set the template for nearly all others to follow (Godzilla battling another kaiju over whatever it is kaiju have to fight about with Japan as their unwitting wrestling ring); but it's a good thing most subsequent installments did it a lot better. Apart from the first appearance of franchise mainstay Anguiras (a gigantic ankylosaurus), there's not a lot to recommend here. It's a preposterously silly entry, but it's also one of the all-time greats. 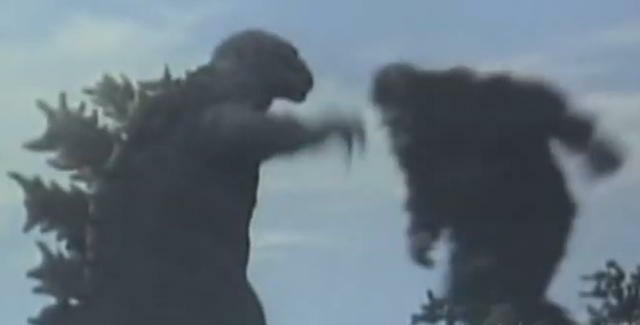 Toho pulled out all the stops when they scored the rights to produce the ultimate international monster battle, and the result is a crowd-pleaser to this day. The model sets and scale-pyrotechnics seldom looked better before or since, and it's here that the series picked up its penchant for physical humor and extended moments of kaiju "gesture-talking" at one another during fights.